Home›Features›Hair I Go Again - A Look at the Film's Vegas Premiere! 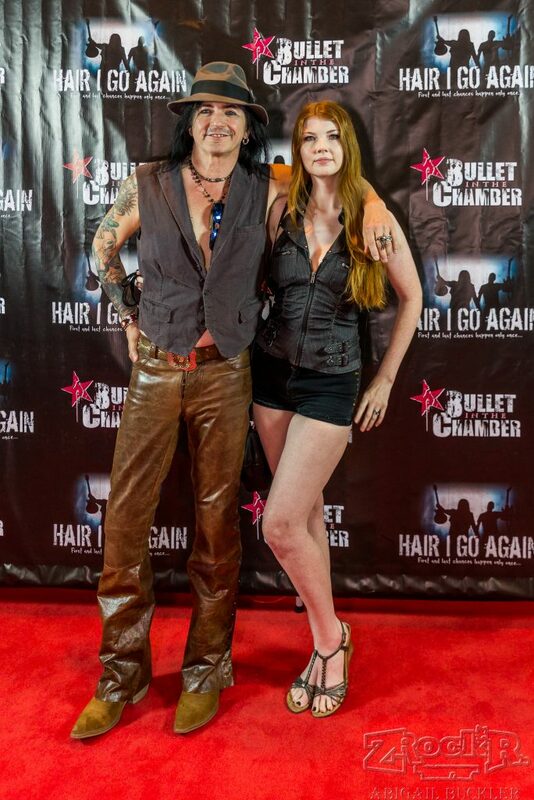 After countless years, Hair I Go Again is finally complete, and the film is finally making the rounds on a movie tour. 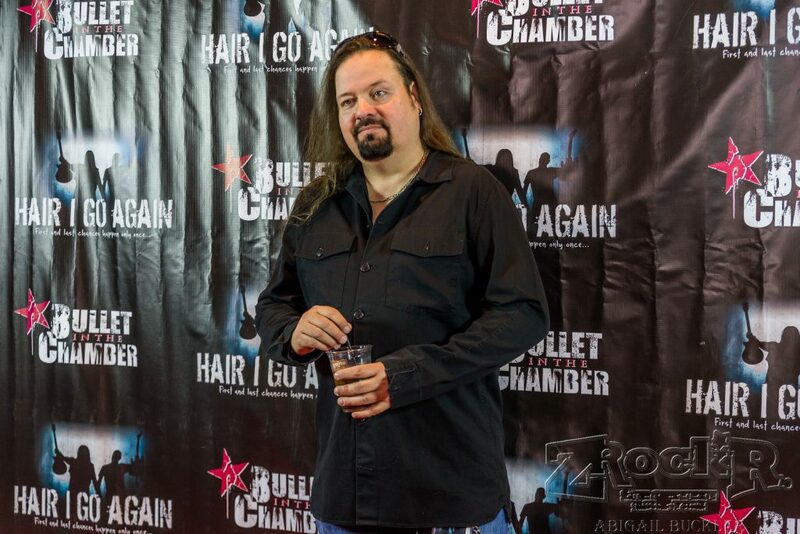 Co-creator Kyle Kruger hosted a premiere of the movie in Las Vegas on Tuesday, June 21, 2016. 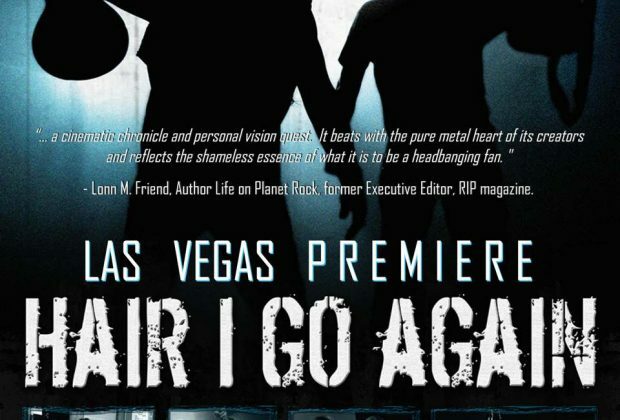 For the unfamiliar, Hair I Go Again is the story of two lifelong friends and heavy metal fans that are facing a midlife crisis, and decide to embark upon the unthinkable – reuniting their old friends and reforming their band from the 1980s. 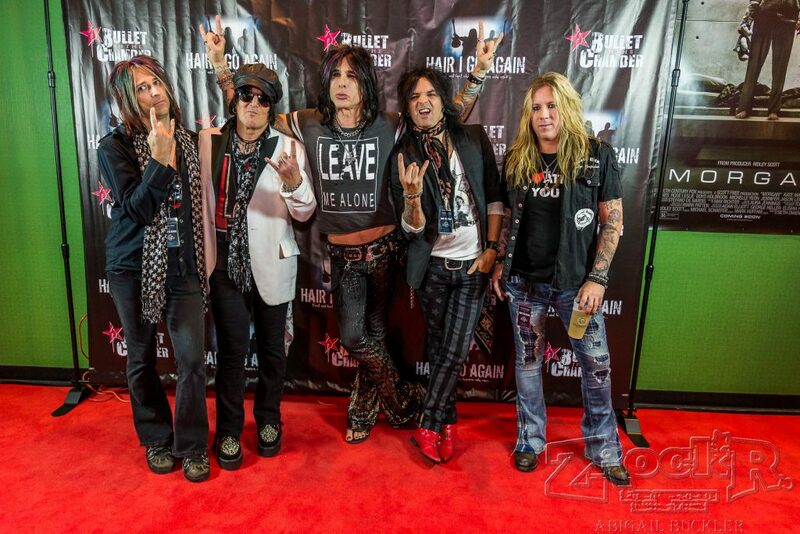 Their efforts result in them crossing paths with a number of classic hard rockers of the eras, many of whom contribute to the project and offer their own advice and feedback on the concept. The film itself is a lot of fun; I have reviewed it in the past for anyone who is interested in the details of the movie itself and my opinions there as a reviewer. 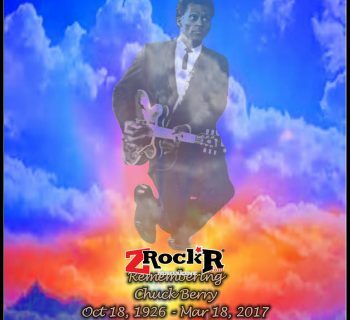 It is a fantastic experience all around, both for would-be rockers and even those seeking inspiration to get out there and pursue their goals. As for this event, it took place at the AMC Town Square 18 theater at Town Square on Las Vegas Blvd., just south of the Las Vegas Strip. Around 6:00 PM the guests of honor began showing up, including local musicians, some of whom actually appear in the film. Kruger largely set the event up himself and did a solid job despite working with what was obviously a skeleton crew. 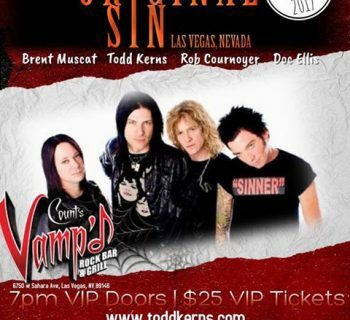 Guests for the event included Brent Muscat (Faster Pussycat, Sin City Sinners, Saints of Las Vegas), Eric Stacy (Faster Pussycat, Angels in Vein), Stacey Blades (Let it Rawk, LA Guns, Angels in Vein), Troy Patrick Farrell (White Lion), Jason Ebs (Peter Criss Band, Ecotonic), Janea Chadwick Ebsworth (Ecotonic), Phil Lewis (Girl, LA Guns), Les Warner (The Cult), Carol Lyn Liddle (Raiding the Rock Vault, Aces High) and Chris Van Dahl (LA Guns, Jimmy Crespo Project, Angels in Vein). Apologies if I left anyone off this list. Plenty of photographers were on hand from the local magazines and review sites; it is clear that there are a good many supporters of Kruger’s film in Sin City. The red carpet setup was very nice, though I do wish there had been a more “formal” event with proper introductions for those walking the carpet; as is it was kind of scattershot and it just seemed like people came and went at their own pace. That said, seeing the turnout was quite nice and it is great to see the support that the film and Kruger alike are getting from Las Vegas, including local talent and fans. The film’s screening began at 7:30 PM inside a decent sized theater, with Mel from KOMP 92.3 hosting. Being on a Tuesday night, I did see plenty of empty seats inside the theater, but given that it was on a weeknight and that this is an independent film only being shown one night like this, the turnout was respectable. A major shout out to anyone that decided to attend and show their support. I will not go into too many details regarding the actual film here, but it is understatement to say that this was an enthusiastic audience. When people in attendance in the audience appeared in the movie, there were uproars of applause. Comical moments were met with laughter that flooded the room. You could tell the attendees appreciated the movie and the subject matter, this fan included. Following the movie was a brief question and answer session with Kruger, in which a few people from the audience shared their inquiries and comments; feedback to the film and its overall message was largely positive. Afterwards, comments from viewers were filmed on the red carpet, and Kruger autographed free posters for all attendees that wanted them. DVD copies of the film and shirts were for sale as well. Overall, this night had a solid, respectable turnout, and it is good to see Kruger getting his just dues for creating this film and sharing it with the world. If you have not seen it yet, see if there is a screening in your area. If not, order a DVD copy. The film is well worth your time and will hit close to home! Hair I Go Again is the story of two aging rockers who played together in amateur bands in the 80s. Still rock and roll fans at heart, the duo comes up with the ultimate remedy for an ongoing midlife crisis – reunite with their classic 80s band Tryxx, play some gigs, and record some new material. Unfortunately, this proves to be exceptionally difficult; their former bandmates live all over the country, and are facing their own sets of ongoing responsibilities, such as full time jobs, returning to school, living the married life and raising kids, experiencing debts and financial hardships, and an endless number of other commitments. 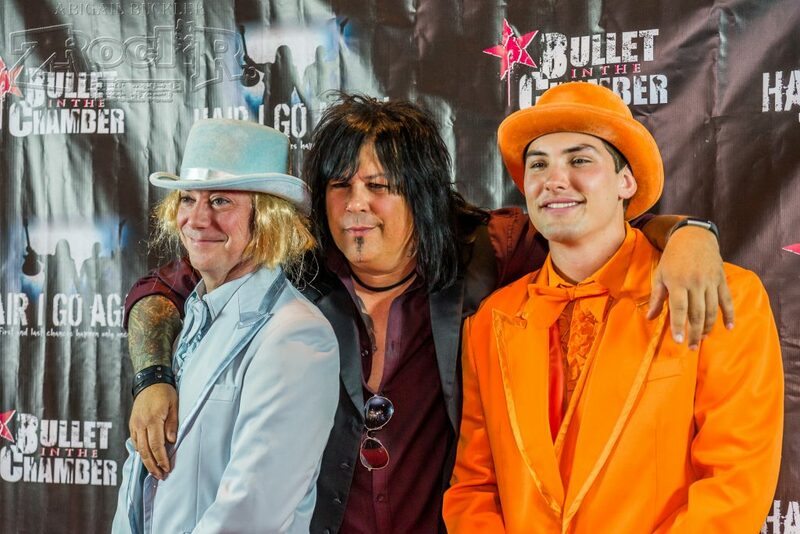 Hair I Go Again features guest spots and interviews from a number of musicians, primarily from the 80s hair/glam scene, including Brent Muscat, Stacey Blades, Phil Lewis, Oz Fox, Ron Keel, Frankie Banali, Lorraine Lewis, members of Anthrax and XYZ, plus metal media personalities including DJ Luc Carl, and That Metal Show host Eddie Trunk. Most of these artists only appear in brief interview spots, but a few do play somewhat major roles in the movie’s plot. There are a large number of rock and roll documentaries out there these days; that is certainly nothing new. Hair I Go Again is the latest in a growing number of them, but definitely does manage to bring something both new and memorable to the table. Whether a musician yourself or just a fan, chances are it will hit close to home in more ways than one. Ranging from laugh out loud funny to dramatic and even borderline responsible, stars/filmmakers Kyle Kruger and Steve McClure certainly deliver with this long-awaited project. If you are reading this review, chances are rock and roll has been a part of your life to some extent. 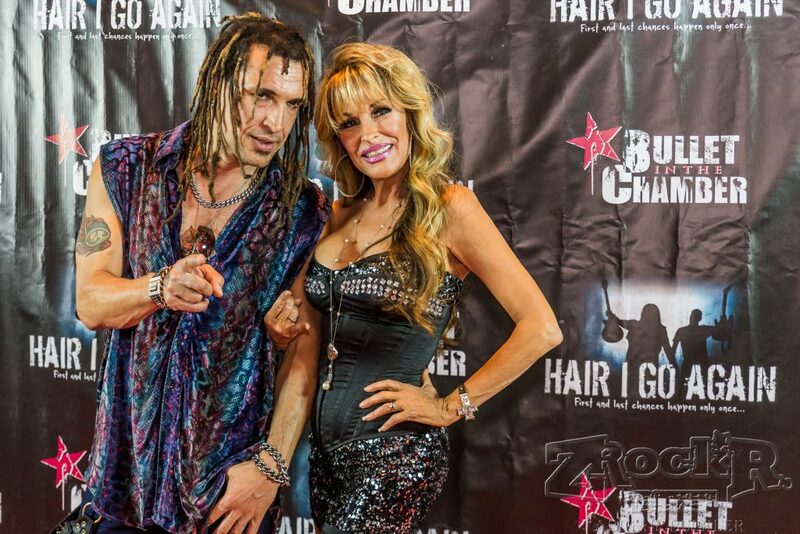 Hair I Go Again is great because we get a look at two lifelong friends who have not given up on their dream, and are willing to go the extra mile to recapture it all. The difference in levels of devotion towards accomplishing this goal between the duo and their former bandmates makes for a rather interesting contrast. On one hand, you have two friends going for broke (literally!) in their quest, pouring years and money into a foolhardy quest that may or may not come to fruition. And on the other end of the spectrum, you have the other former band members, all of whom have moved on and seem content in their respective lives, with wives and kids, and jobs and potential careers they need to devote themselves to fully. The movie is not a “dream scenario” where everything fully works out the way that our protagonists and us as viewers want it to, but you can certainly sympathize with the participants on both sides of the coin here. Another admirable trait of the picture is that it does not shy away from the harsh and often ugly realities of the music world and the business at large; this is well reflected through the interview content with established musicians and media personalities. You have artists not afraid to reveal the truth of the bleakness of today’s music industry, including the lack of money to be made these days, yet at the same time, there are personalities who want these would-be rockers to give it their all and pursue their dream while there is still time, ultimately having no regrets about it in the long run. Perhaps the best thing about Hair I Go Again is that we actually give a damn about our heroes. I do not want to spoil the movie for anyone who has not seen it yet, but the end result certainly speaks for itself. You’ll laugh, you’ll cry, and you’ll be along for the ride from start to finish. Hair I Go Again is a movie that is many things, but boring is never one of them. 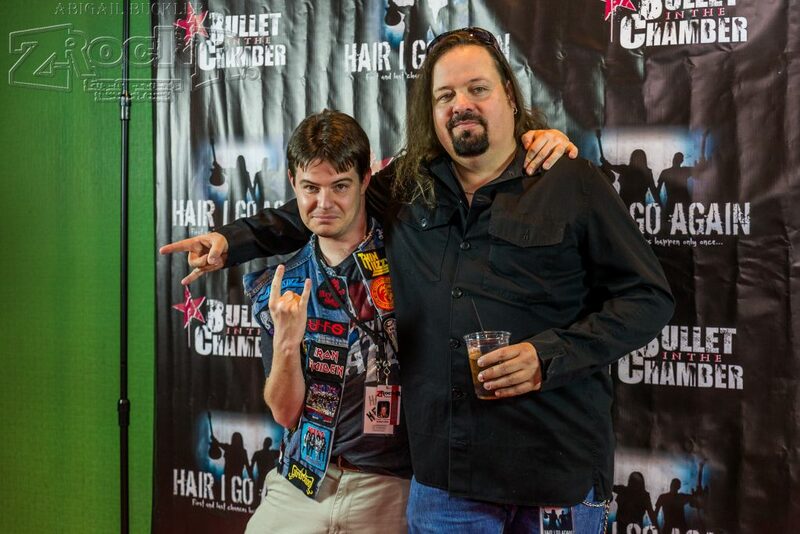 Overall, Hair I Go Again is a solid film with an interesting premise, likable personalities, and some of the top names in classic hard rock and heavy metal along for the ride, with their own comments to add to it all. Part Spinal Tap, part Decline of Western Civilization Part II, it hits all the high notes (no pun intended). 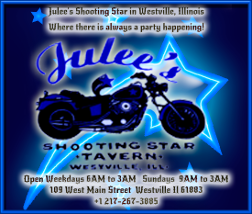 Absolutely worth checking out!